Hi there! 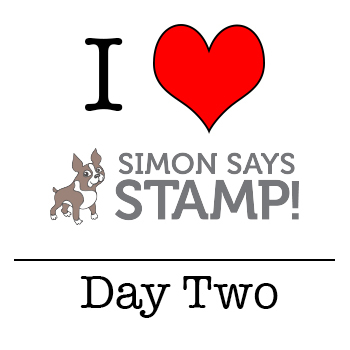 I’m back today with Day Two of the I Love Simon Says Stamp Week. (Click HERE for Day One.) 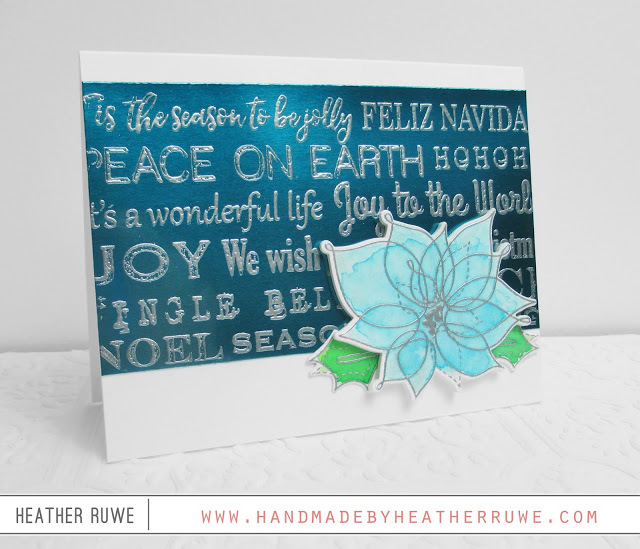 This post is also part of a fun Blog Hop celebrating Simon Says Stamp’s newest release, Believe in the Season. *I made sure to apply THIS powder bag all over the cardstock to prevent embossing powder from sticking where it shouldn’t. I do this any time I emboss, but it’s especially important with specialty cardstock. *To prevent warping, I taped down the cardstock to a board using THIS tape. I did this after stamping the background using VersaMark ink. *After sprinkling on THIS silver embossing powder, I applied heat with THIS heat gun. You want to make sure to keep the heat gun moving. If you leave it on one spot too long, it will start to melt the paper (especially with this foiled finish). I used THIS background stamp and I really like it’s size. 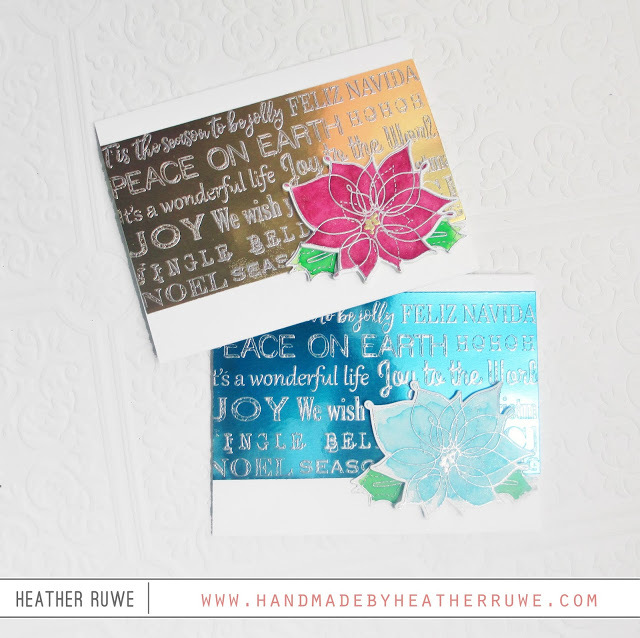 I cut the embossed pattern in half so I would have more pieces for future cards. Using the MISTI made it easy to get good coverage. 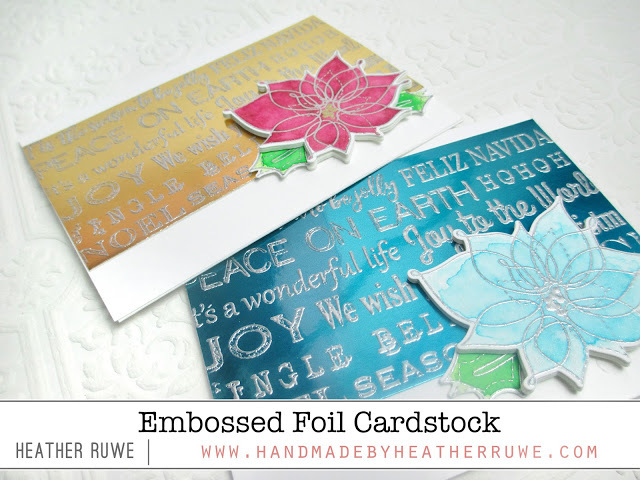 For the flowers, I heat embossed the images from THIS set using the same embossing powder on to THIS cardstock. I used THESE watercolors to add color used THESE coordinating dies to cut them out. Like I mentioned, this post is part of a blog hop. Click HERE to visit the next stop on the hop, my talented friend, Kelly Latevola. Click HERE to start at the beginning of the hop. Want to win a $25 gift certificate to Simon Says Stamp? Just leave a comment below. I will randomly choose one comment from this post to win! You have until Monday, October 24th at 8 p.m. EST to enter. Good Luck. Thanks so much for stopping by and I’ll be back Monday with Day Three’s project of I Love Simon Says Stamp week. Beautiful! Love the cards and how different they look by just the use of color. Have you announced a winner for this hop yet??? 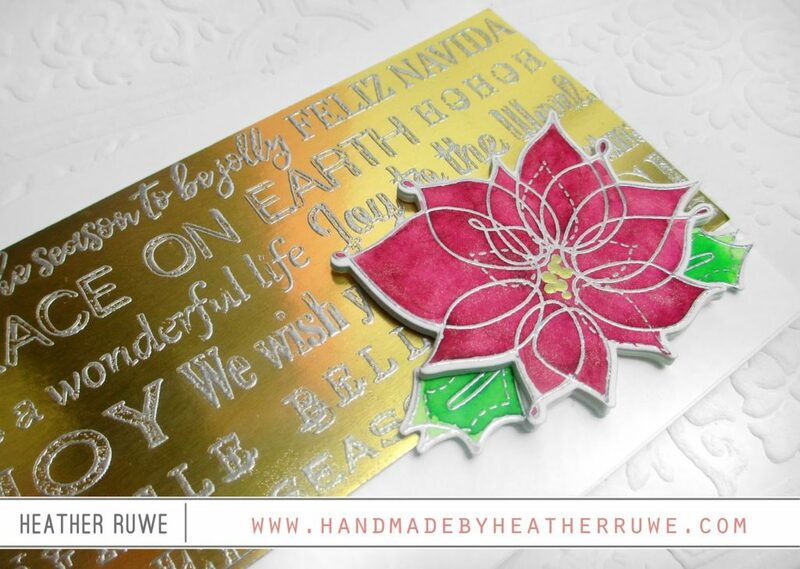 Love working with the foil…shimmer, shine…Great cards! SO pretty! Love the blue poinsettia. 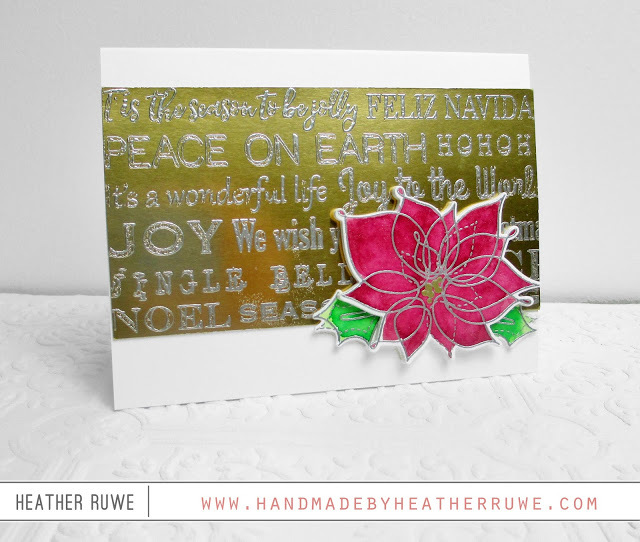 GORGEOUS cards with those poinsettia and foil background! 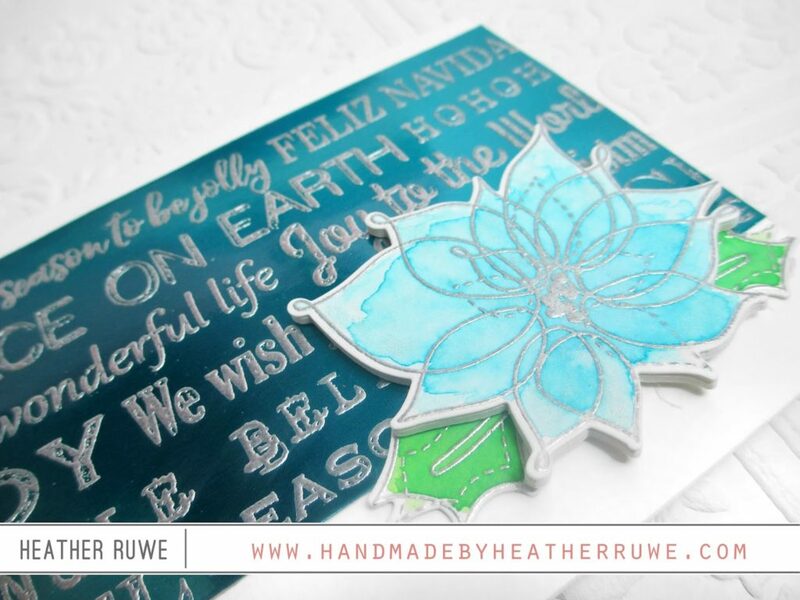 Love the turquoise foil embossing! So pretty! These are soooo pretty. Love that foil.